The Integrations view is where you set up integrations with supported external platforms for your projects. 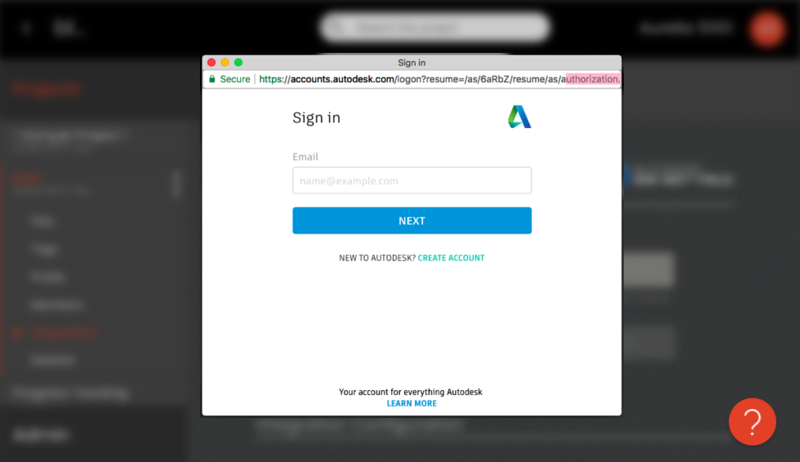 We offer integrations with Procore, Egnyte, OxBlue, Box, and Autodesk® BIM 360® Field and Docs. Integrations sync your existing data into Smartvid.io so you can use its capabilities without changes to workflows or having to upload assets twice. 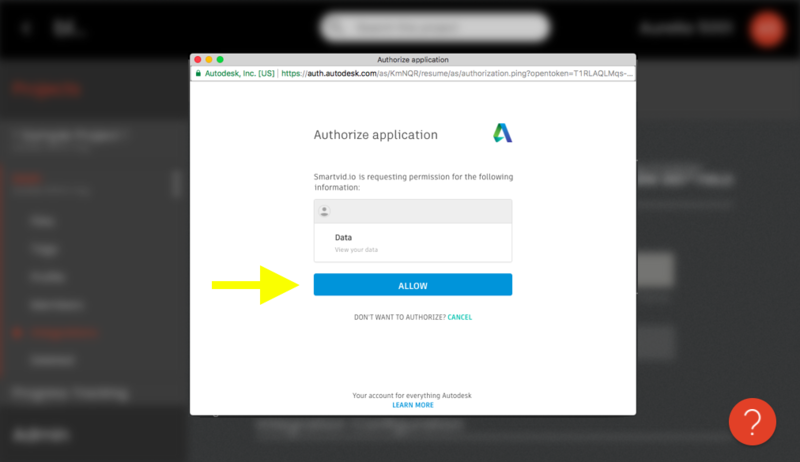 Follow these steps to set up a one-way integration with a project in Autodesk’s BIM 360 (NEW/2018 V2 version). From the Integrations view, click on the BIM 360 thumbnail. Under Configuration / Project, choose the project you want to integrate with. If you have created or joined new projects or companies, click Refresh to pull your account updates. Change settings as desired, then select the Enabled button again to turn the integration back on. If you're having any trouble connecting to or syncing with BIM 360®, please contact support. You can create BIM 360 safety issues directly from within Smartvid projects with active 360 integrations, including the ability to attach relevant pictures. Note: any projects integrations set up with BIM 360 before Oct 9, 2018 should disconnect/reconnect (disable/enable) the integration in order to pull the appropriate authentication from BIM 360. If you do not disconnect and reconnect your integration, you may not be able to access the steps outlined below. If you want to attach multiple pictures to the issue you create, start instead from the Files view and select the files you want to attach to the issue you create, then clicking the share taskbar icon. Click Done to finish creation of the new issue. 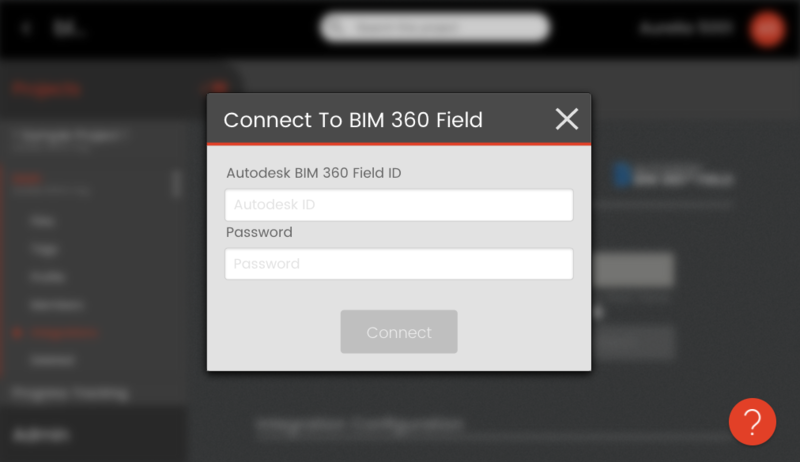 Follow these steps to set up a one-way integration with a project in Autodesk® BIM 360® Field. The integration automatically syncs Field photos into the connected Smartvid.io project approximately every 30 minutes, including issue descriptions, locations, authors and other metadata. From the integrations view, click on the BIM 360 Field thumbnail. Check Download locations from BIM 360 Field to import Field locations as tags to the project's tag dictionary. Why? When you turn on locations, synced photos will automatically be tagged with their original Field location, making it easier to keep track of where photos came from. You can also instantly use any imported location tags as audio tags for progress tracking videos - no need to manually set them up! Your integration should now be turned on. Files will start syncing within around 30 minutes, so check back later (don't forget to refresh). Choose another project from the project menu, then select Enabled again to turn the integration back on. If you're having any trouble connecting to or syncing with BIM 360® Field, please contact support. Follow these steps to set up a one-way integration with a folder in Box. 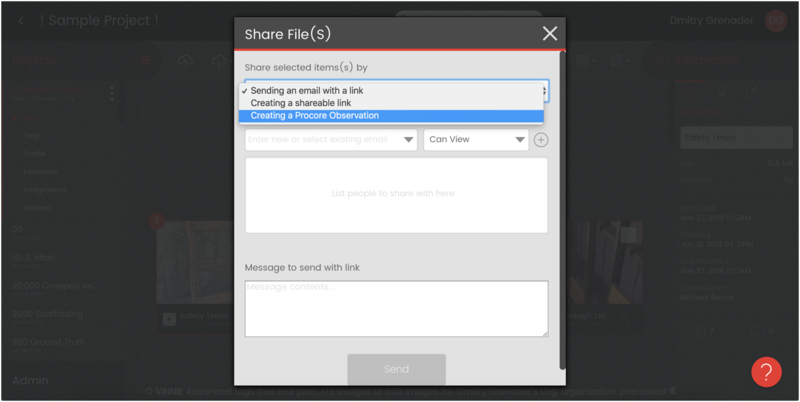 The integration will automatically sync pictures & videos from the folder (including subfolders) every 30-60 minutes. From the Integrations view, click the Box thumbnail. 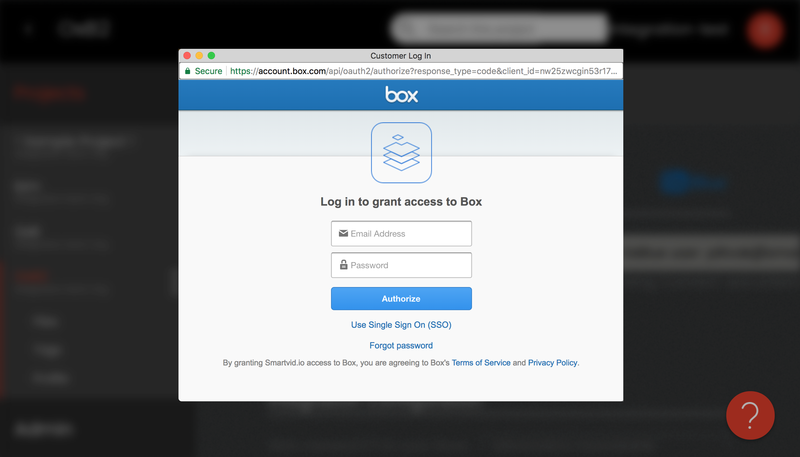 On the next screen, click Grant access to Box. If you click on a folder, you can also choose from its subfolders (note that selecting a parent folder will also sync files from all of its subfolders). All folder and subfolder names will be created as parent and child tags in the tag dictionary, following their original hierarchy, to help you keep track of where in Box an image or video came from. Your integration should now be turned on. Files will start syncing within 30-45 minutes, so check back later (make sure you refresh the page). Choose a new folder, then select Enabled again to turn the integration back on. If you're having any trouble connecting to or syncing with Box, please contact support. 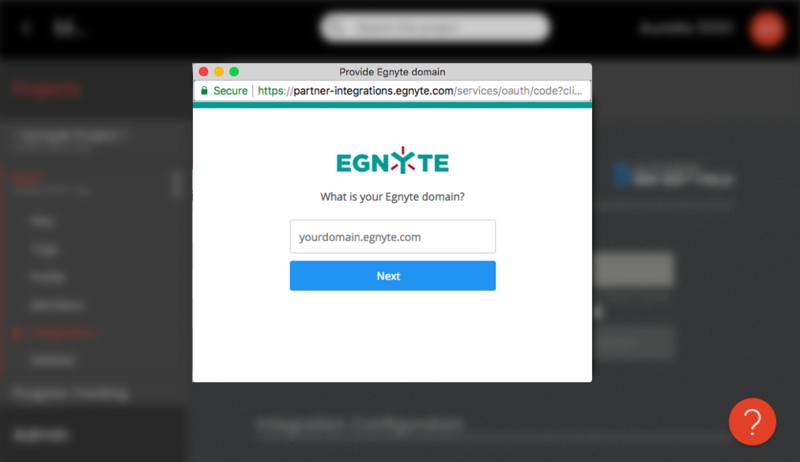 Follow these steps to set up a one-way integration with Egnyte. The integration automatically sync pictures & videos from your chosen Egnyte folder (including subfolders) approximately every 15 minutes. 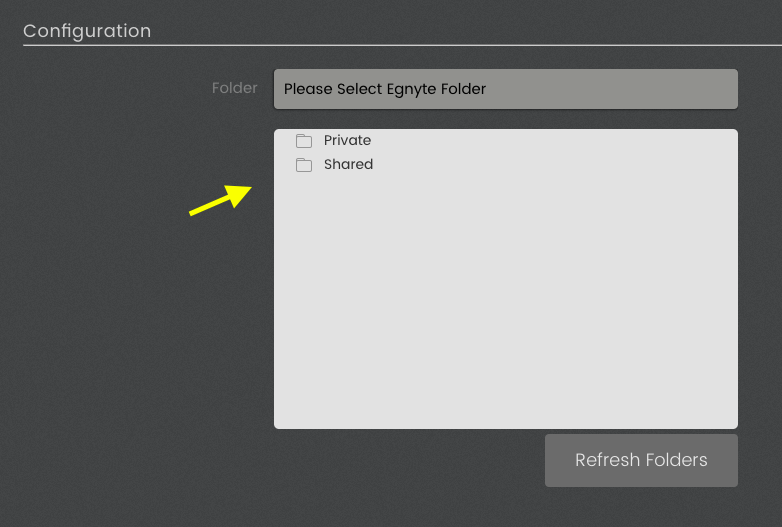 From the Integrations view, click the Egnyte thumbnail. Click on a folder to expand/choose from its subfolders (note that selecting a parent folder will also sync all of its subfolders). All folder and subfolder names will be created as parent and child tags in the tag dictionary, following their original hierarchy, to help you keep track of where in Egnyte a picture came from. Your integration should now be turned on. Wait at least 15-20 minutes before checking for files. If you're having any trouble connecting to or syncing with Egnyte, please contact support. 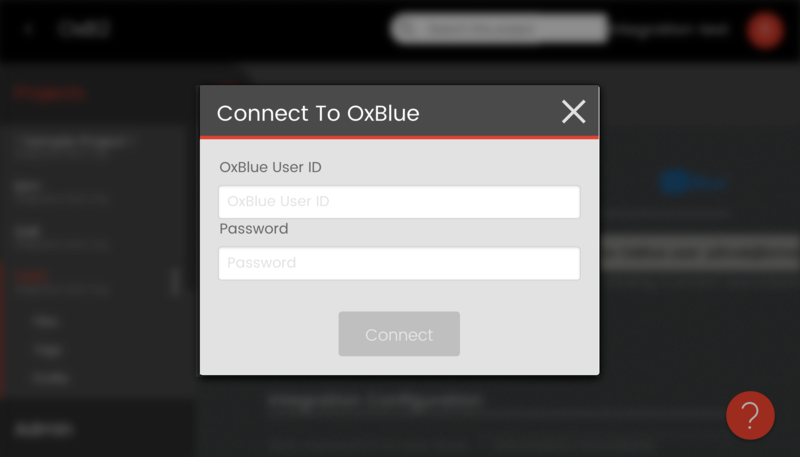 Follow these steps to set up an integration with an OxBlue account. Integrating a Smartvid project with one or more OxBlue cameras pulls camera images into the project at your chosen frequency. You can also choose to sync daily time lapse videos. From the Integrations view, click on the OxBlue thumbnail. If you access your OxBlue cameras via a public URL and don't have an OxBlue login, email support@oxblue.com with the public link for the camera you're trying to integrate. Include your desired username (username must be an email address). OxBlue will then create a login for you and send it to the email address provided, typically within 2 business hours. If you need to expedite the request, call OxBlue customer support at 888-849-2583 to have it expedited. Under Integration Configuration, you'll see a list of available cameras linked to your account. Use the checkboxes to choose the camera(s) to sync to the project. Under Window of Time, you can set the time period during which the images will be pulled from the camera(s). Under Frequency, choose how often you want to pull an image from each synced camera. If you want to sync OxBlue daily time-lapse videos, choose "Daily" in the time lapse menu. Otherwise, leave it set to "Never." Your integration should now be turned on. Wait at least as long as your chosen sync interval before checking for files. Under Integration Configuration, un-select cameras to stop syncing with them and select new cameras to sync, and use the Frequency menu to choose a different sync interval. Click the Enabled button again to save your changes and turn the integration back on. Follow these steps to set up a two-way integration between a Procore project and a Smartvid.io project. The integration is bi-directional, meaning photos or videos added to a project in either system will automatically sync to the other. If you choose, photos in your Smartvid.io project will be added to the photos area of the connected Procore project. 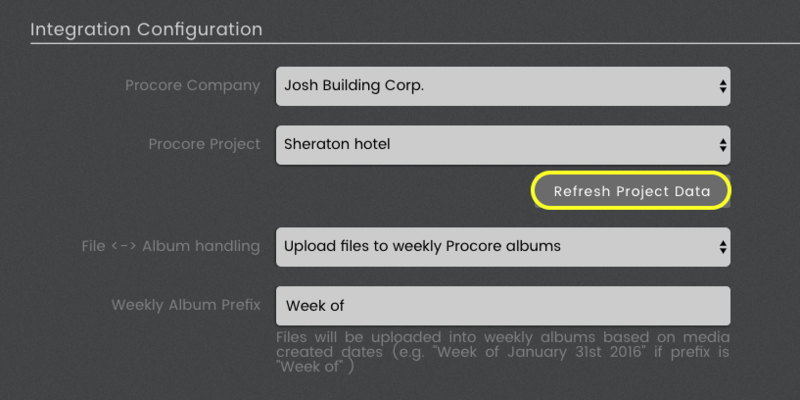 If you choose, Procore locations will be imported as tags and added to files from that Procore location. These locations will also be available as audio tags in Smartvid.io - you can now speak them during field videos and they will tag your content automatically. Videos in your Smartvid.io project will create snapshots (images of video frames) for each tag found in your video, and these images will be added to the photos area of the connected Procore project. Photos in your Procore project will be added to the Files view of the connected Smartvid.io project, tagged with the title of the source Procore album. If you choose, any Smartvid.io tags on a photo or snapshot will be added to the caption of the corresponding synced Procore photo. Photos or videos deleted in either Smartvid.io or Procore won't be deleted in the other system. From the Integrations view, click on the Procore thumbnail. You can select either to 1. push just the tags back to the caption of the source Procore photo or 2. push both tags and Smartvid.io photos back to Procore albums. Note: if you select "Push all Smartvid.io files and tags to Procore", both photos taken by Smartvid.io mobile app and photos from other integrations enabled (if any) will be pushed to Procore. Check Download locations from Procore to import Procore locations as tags to the project's tag dictionary. Why? When you turn on locations, synced photos will automatically be tagged with their original Procore location, making it easier to keep track of where photos came from. You can also instantly use any imported location tags as audio tags for progress tracking videos - no need to manually set them up! Choose another project from the project menu, choose album settings, then select Enabled again to turn the integration back on. If you're having any trouble connecting to or syncing with Procore, please contact support. 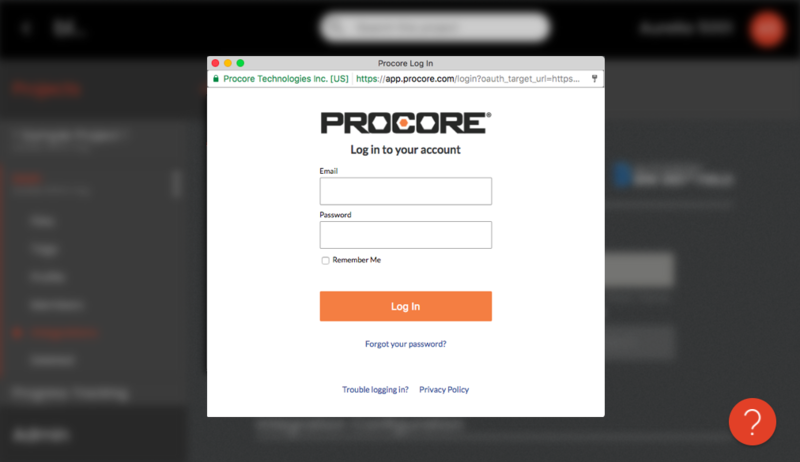 You can now create Procore observations directly from within Smartvid projects with active Procore integrations, including the ability to attach relevant pictures (your Procore account must be authorized to create Procore observations). Note: for any projects with existing integrations you should disconnect/reconnect (disable/enable) the integration to be able to create observations in Procore. 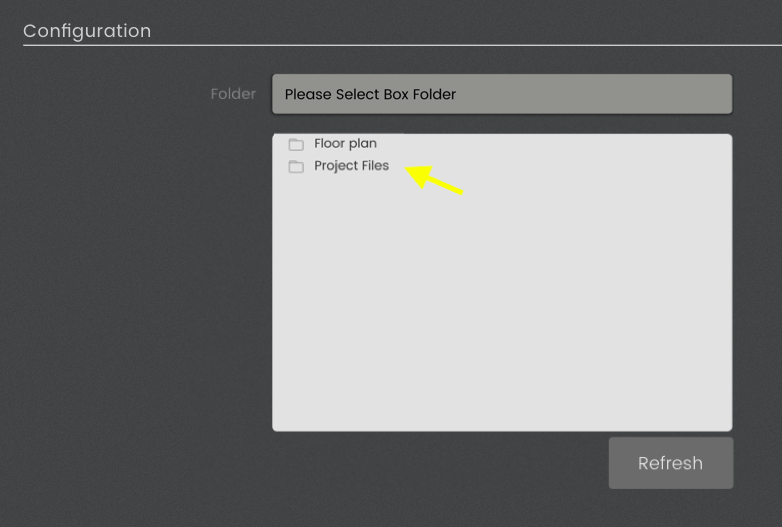 From the Files view select the file(s) you want to attach to the observation, then clicking the share taskbar icon. Click Create to finish creating the observation.